The firm's general areas of practice include, but are not limited to, business and corporation law, public utility, litigation, regulatory compliance, employment law, family law, estate planning, real estate, and small business services. We appreciate the opportunity to earn your trust and business. Mr. Ward is the President and Chief Executive Officer of the Sullivan & Ward Professional Corporation. 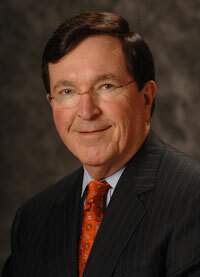 He graduated from Drake University Law School in 1964 and has been with the firm since graduation. He has served as an instructor and frequent lecturer for the National Rural Electric Cooperative Association and has served as President of the NRECA - G&T Lawyers Association. During his career he has served as counsel to various electric generation and transmission utilities and distribution cooperatives throughout the country in development of power supply and transmission arrangements and agreements. He has served as the lead attorney for negotiation of power supply agreements between investor owned utilities, municipal utilities and G&T cooperatives providing for sharing of generation facilities, transmission facilities and operation of same. He has also provided primary representation of electric utilities in development of financing agreements with RUS, CFC, Co-Bank, and other lending institutions for participation in power supply and transmission facilities. Mr. Ward is admitted to practice before the Iowa Supreme Court, the U.S. District Courts for the Northern and Southern Districts of Iowa, the U.S. Court of Appeals for the 8th Circuit, and he is admitted to practice before the United States Supreme Court. 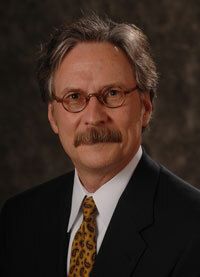 He is a member of the Electric Cooperative Bar Association, the Polk County, Iowa State and American Bar Associations. He is a past President of the West Des Moines Board of Education. He was born in Knoxville, Iowa in 1940. Mr. Hockenberg was born in Des Moines, Iowa in 1948 and graduated from the University of Iowa in 1970 and Drake University Law School in 1973. He joined the firm that same year. He is the former chairman of the Planning and Zoning Commission for City of Clive, a former member of the Clive City Council, and sits on the Board of Directors of various charitable organizations. Mr. Hockenberg is also a member of the Polk County, Iowa State (Committee of Probate, Property and Trust Law) and American Bar Associations and co-authored a real estate practice manual for the Iowa State Bar Association. Mr. Hockenberg has been a speaker at various Bar sponsored seminars. He practices primarily in the areas of real estate, estate planning and business planning and transactions. He serves as Treasurer and Chief Financial Officer of the Professional Corporation. Mr. Chabot was born in Duluth, Minnesota in 1937 and graduated from the University of Minnesota Law School in 1964 and was admitted to practice in Minnesota and Iowa. He joined this law firm in 1985. He is admitted to practice in the U.S. District Courts for the Northern and Southern Districts of Iowa and U.S. Court of Appeals for the Eighth Circuit. Rick practices primarily in the areas of Employment Law and Employee Benefits. He is a member of the Lincoln Inne and a long time member of the Rotary Club of Des Moines. 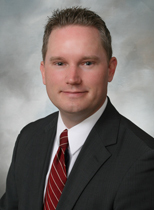 He is a member of the Polk County and Iowa State Bar Associations. 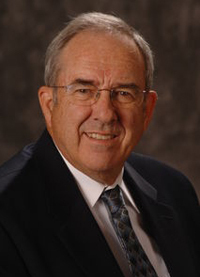 Mr. Holliday joined the firm in 1970 after serving as the Law Clerk to Justice Bruce M. Snell of the Iowa Supreme Court. Education Law: Mr. Holliday has represented both teachers and school administrators across Iowa. Alternative Dispute Resolution: Has both mediated and arbitrated cases in personal injury, wrongful death, medical malpractice, construction law, and family law. Estate Planning / Probate: Complex and Simple Will Preparation, Trusts, Probate, and Powers of Attorney. Business Law: mergers, acquisitions, contract preparation and negotiations. In 2008, Mr. Holliday was successful in obtaining a Presidential commutation of a federal prisoner's life sentence. Mr. Landa graduated from Drake University Law School in 1980. Mr. Landa practices primarily in the areas of environmental and worker safety law. Prior to his association with the firm, from May 1980 to October 1981 he was a staff attorney with Legal Aid of North Dakota and from October 1981 to November 1982 he was staff attorney for the Iowa Bureau of Labor principally as an OSHA prosecutor. In addition to his work as an OSHA prosecutor, he litigated wage and hour cases for the Bureau. Mr. Landa has twenty-five years of experience practicing environmental law in Iowa. From November 1982 to February 1992, he was a staff attorney with the Iowa Department of Natural Resources, practicing exclusively in the area of environmental law; primarily in the air quality, hazardous and solid waste, underground storage tanks, Superfund, and water quality program areas. Since 1992 Mr. Landa has directed the activities of the Regulatory Compliance Group which was established by a consortium of Iowa's rural electric generation and transmission and distribution cooperatives to meet their collective environmental, safety, transportation, emergency response, storm recovery under the FEMA Public Assistance program and hazard mitigation grant program regulatory needs. In that capacity he has served on numerous state environmental review committees and Task Forces including the Governor's Air Toxics Task Force in 2000-2001 and he is currently the Iowa "in state consultant" for the publication, Brownfields Law and Practice, published by Matthew Bender. From 1999 to 2002 Mr. Landa was the principal legal counsel for two G & T's during the construction of an RUS-financed simple cycle gas-fired combustion turbine generator system which was built on the site of an existing coal-fired power plant. In addition to the electric cooperatives, Mr. Landa also represents a diverse clientele including companies and individuals in the mining, mineral processing, land development, agricultural processing, and publishing industries, and he represents numerous governmental bodies on matters of environmental and regulatory compliance, including sanitary landfills, airports and the Greenfield Plaza Sanitary District. In addition to his experience in environmental and worker safety law, Mr. Landa advises clients on employment related matters including hiring, disciplinary and termination practices and drug and alcohol testing in compliance with state and federal laws. He has participated and performed investigations related to wrongful conduct by employees in the workplace. Mr. Landa has been selected by his peers for inclusion in the 21st Edition of The Best Lawyers in America in the practice area of Environmental Law, an honor that he has received each year for more than a decade. In addition, he has been named the Best Lawyers' 2014 Des Moines Environmental Law "Lawyer of the Year". He is a member of the Iowa State (past member of the Environmental & Natural Resources Law Section Council), and Polk County Bar Associations. He was born in Ely, Minnesota. 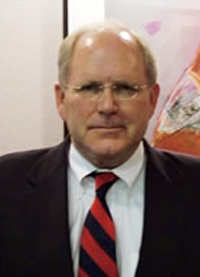 Mr. Puckett serves as an officer and Director of the Sullivan & Ward Professional Corporation. He received a Bachelor of Science Degree in Business Administration and Accounting from the University of Kansas in 1988 and graduated from Drake University Law School in 1991 with honors. He has been with the firm since graduation. Mr. Puckett practices in the areas of electric and telecommunication utility law, real estate law, and corporate law. 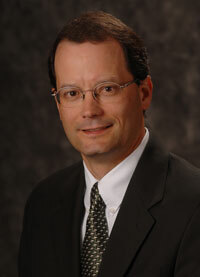 He is a member of the Polk County and Iowa State Bar Associations. He is also a member of the Electric Cooperative Bar Association. Mr. Puckett has counseled and assisted his clients in successfully completing many complex business transactions, acquisitions, sales and reorganizations. He also has assisted many clients through the entity selection and incorporation process. He regularly appears before the Iowa Utilities Board on behalf of his utility clients and has drafted and negotiated any number of contracts on behalf of these clients, including but not limited to: electric service agreements; interconnection agreements; loan contracts; consolidations; employment agreements; wholesale service agreements; power purchase agreements with renewable generators; service territory contracts; labor contracts, and franchise agreements. He assists his clients in connection with obtaining necessary right of way, including the use of eminent domain when necessary. He has been a regular presenter at meetings involving cooperative managers and directors, with topics ranging from employment law issues, allocation of margins, bankruptcy, Director fiduciary duties, and compliance with applicable State and Federal laws, including PURPA. He has assisted clients in all aspects of real estate transactions, including sales, acquisitions, tax-free exchanges, subdivision and platting, and financing. Mr. Puckett is married and has four children. He is active in his church and serves on the board of a local chapter of Youth for Christ. He enjoys sports and spending time with his family. He was born in Wadena, Minnesota. Kyle Kruidenier joined the firm in 2004. He is a transactional attorney, primarily practicing in the areas of business, public utility, commercial and residential real estate, debtor/creditor, landlord/tenant, intellectual property and estate planning. Kyle strives to help his clients get the best result they can in a cost effective manner. Kyle received his J.D. from Drake University Law School in 2004 and his B.S. from the University of Iowa. Kyle is active in the community including his current role as Director on the Urbandale Community School Board. He is also busy keeping up with his children and their various activities. 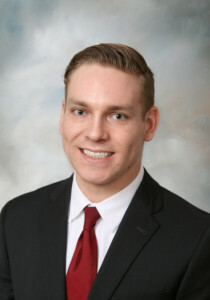 Kyle is a member of the Polk County and Iowa State Bar Associations. Assisting contractors and construction clients with contracts, disputes involving delays, workmanship and material defects, and environmental issues. Helping clients with purchasing or selling commercial or residential real estate, including purchase agreements, title opinions, clearing title defects and preparing and conducting closings. Assisting clients in regards to a divorce, child custody, paternity or adoption action in Iowa. Providing legal advice in regards to forming or changing a will or trust, and representing an Estate through an Iowa probate proceeding. Mr. Hellstern is a member of the Polk County, Iowa State, and American Bar Associations and is licensed to practice in the State of Iowa, the Northern and Southern Federal Districts of Iowa and the Eighth Circuit Court of Appeals. 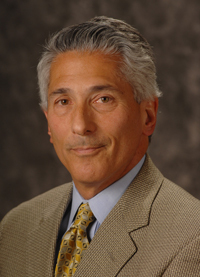 Mr. Hellstern is currently President of Business Leads Guaranteed and serves on the Board of Directors for Candeo. 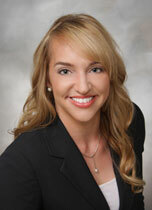 Ms. James joined the Sullivan & Ward Professional Corporation in 2014. She received a Bachelor of Arts Degree from Grinnell College in 2003 and graduated from Drake University Law School in 2008 with a Certificate in Litigation and Conflict Resolution and a Certificate in Constitutional Law. Ms. James has established her expertise in public utility law and regulation through representation of clients in the electric and gas, telecommunications and renewable energy industries in administrative hearings at the Iowa Utilities Board, the Minnesota Public Utilities Commission and in state and federal courts. She has counseled business clients with complex transactions, consumer issues, government relations and strategic counsel. Ms. James has experience representing various regulated and unregulated entities such as municipal utilities, investor owned utilities, alternative energy producers, independent/merchant power producers, transmission operators and large power customers. Ms. James is a member of the State of Iowa Bar Association and is licensed to practice in the State of Iowa and the Northern and Southern Federal Districts of Iowa. Additionally, she is a 2004-2005 graduate of Leadership Iowa, which promotes professional development, community service and leadership training. Ms. James serves as 2014-2015 President of the Energy Bar Association Midwest Chapter. She was born in Creston, Iowa. Mr. Rust joined Sullivan & Ward, Professional Corporation as an Associate Attorney in 2017. Originally from Tinley Park, IL, he received a Bachelor of Arts Degree in History and Political Science from the University of Iowa in 2013 and received his Juris Doctorate from Drake University Law School in 2016 with a Certificate in Business Law. Mr. Rust joins the firm practicing in areas including but not limited to business/corporate law, civil litigation, and real estate. 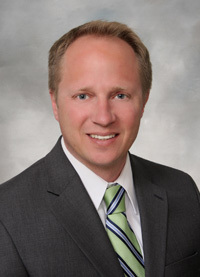 Mr. Rust is licensed to practice in the State of Iowa and is a member of the Iowa State and Polk County Bar Associations.